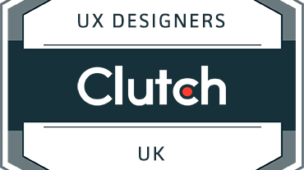 We’re very pleased to announce that we have been named a market leader in providing User Experience & Interface Design by the team over at clutch.co. 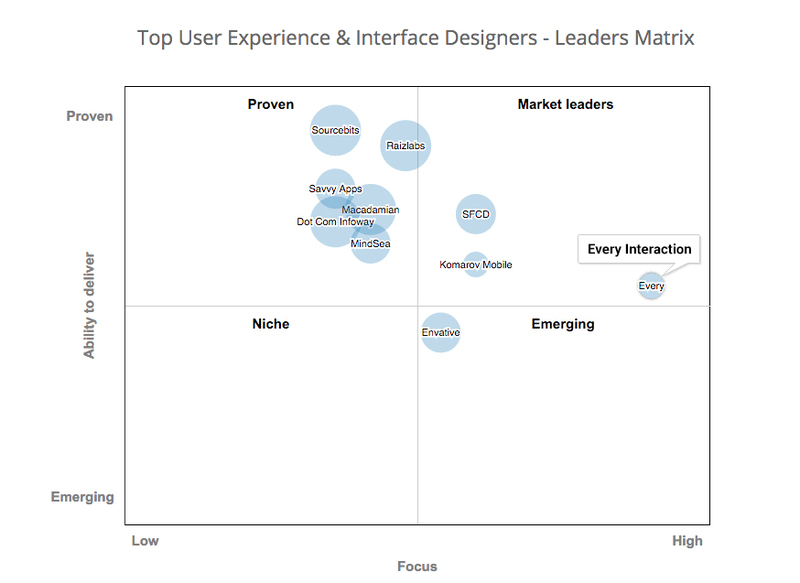 On their leaders matrix they shown us as being the most market-leading with high focus and a proven ability to deliver. 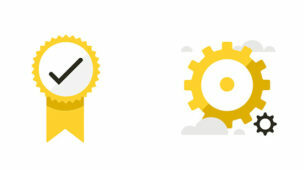 We’re also currently a contender in the web-design category, which is also an honour. Clutch identify leading software and professional services firms that deliver results for their clients. They do this through an innovative research process that melds the best of traditional B2B research and newer consumer review services. 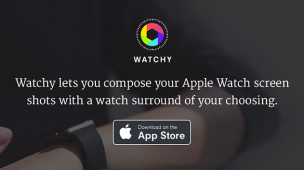 Their research helps start-ups, mid-market and large enterprises find partners that meet their needs, whether for a one-off project or a long term relationship. The evaluation process involves speaking with our clients independently to get reviews and references. These metrics are openly presented online to rank and rate our services against our ‘ability to deliver’ and ‘focus’. We’re most pleased about the glowing feedback our clients have provided that helped put us alongside companies we’ve looked up to for a long time such as Sourcebits & SFCD.